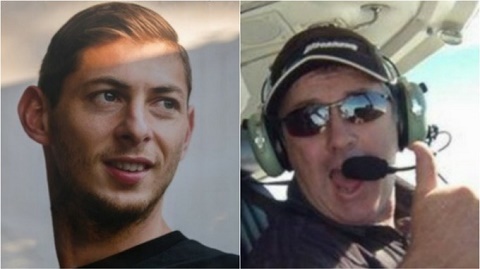 A body has been recovered from the wreckage of a plane which crashed into the English Channel with Cardiff City striker Emiliano Sala on board. The plane flying from Nantes, France to Cardiff on January 21 went missing with the new £15million signing Sala and pilot David Ibbotson, 59, inside. It remains unclear whether the body is that of the Argentine forward or Mr Ibbotson but a full examination by a coroner in Portland, Dorset, is due to take place. Remotely operated Vehicles (ROVs) were used in 'challenging conditions' to pull the body out of the water 'in as dignified a way as possible', the Air Accidents Investigation Branch (AAIB) said on Wednesday night. The Piper Malibu aircraft remains more than 200 feet below water and is 21 miles off the coast of Guernsey in the English Channel as poor weather conditions stopped efforts to recover it. The Air Accidents Investigation Branch (AAIB) said: 'Following extensive visual examination of the accident site using the remotely operated vehicle (ROV), it was decided to attempt recovery operations.